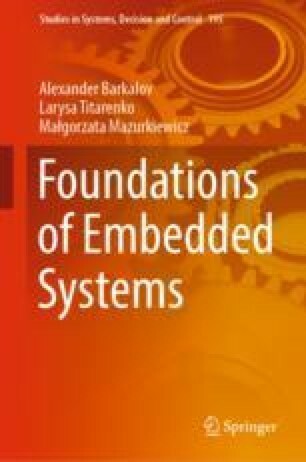 The chapter presents some methods using for implementing computational algorithms in embedded systems. All methods are illustrated using the same end-to-end example. We start from the hardware implementation when some operational units (adders, multipliers, and other) are used to implement an algorithm during a single cycle of operation. Next, we discuss how to minimize hardware due to introducing an internal control unit. The third section is devoted to software implementation of computational algorithms based on microcontrollers. Some families of microcontrollers are analysed. Next, we show how to choose blocks for implementing the embedded system for our example. We choose the microcontrollers ATmega32 to illustrate this implementation of the embedded system. At last, the heterogeneous implementation of computational algorithms is discussed. It is based on well-know conception of hardware-software co-design. We introduce the conception of hardware-software interface and show how to create an algorithm of its operation.